The warm sands move between your toes as you stroll down the sparse beach in the early morning light. The warm breeze licks across your face, weaving in and out of the palm trees surrounding the island, interlinking all of the elements around you together. You gaze in awe at the sun rising, and you step into the lapping water. The water surprises you, because its warmth is not something you were expecting. You feel part of something living and breathing. That is because you are. Then you suddenly remember. 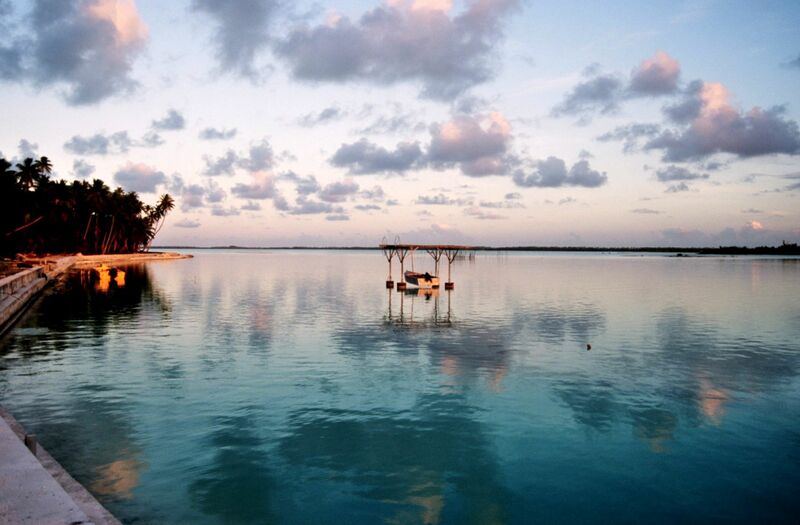 You are on Mataiva Island, only a hop, skip, and a jump from Bora Bora, which lies somewhere in the south-west. And you count yourself lucky that Mataiva is not swarming with tourists all trying to work on their tan. This is not an Island that you come to for entertainment, shopping, or even really socialising. 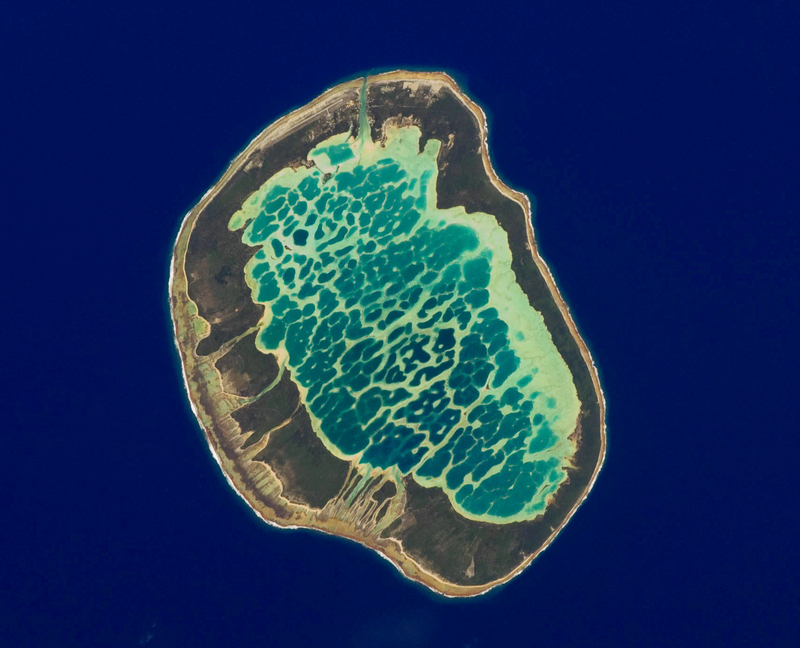 This is an island that is isolated, stunning, warm, and extremely affected by weather patterns and the like. But the good thing is that it does have a very small airport, hardly any accommodation, and not that many people either. This is most definitely not a tourist destination. We are off the beaten track in the Tahitian islands. The island is shaped like an incomplete ‘O’. It has a massive lagoon that spans across the internal breadth of the island. In the lagoon area, you will find warmth, fishing, diving around the coral, and somewhere to laze around casually in the water. A place to be alone with your thoughts. This is a location where you can let go of your everyday stresses that you constantly harbour from your busy life. An island paradise, that no one else really knows about. The place where the first thing you do when you step off your flight, is to really make sure your mobile is switched off, and any other connection you have with the outside world. This is an island where you are allowed to lose track of time by not wearing your watch. In terms of this Urban Fantasy trilogy that I am currently writing, I chose it for war. Yes, you did read that correctly. It was somewhere remote, beautiful, and calm… I knew that I had to have a war somewhere secluded, and so this devastatingly stunning place was where I chose to spill blood, sweat, and tears. My poor characters. But I also chose it to be a medical base for my characters as well… A really big medical base. I wanted it to be a place that only my characters would be able to move freely to and from with their own unique ‘other-worldly’ abilities. Being so remote gave me that opportunity. This place has tranquil warmth, healing properties, its own eco system, and I just knew that while it could be a place of destruction and fear, it could also hold the potential to heal those who are sick. So, this is Mataiva Island in the Polynesia region. For whoever reads this – don’t go there to turn it into some sort of highly profitable holiday resort. This is not the kaupapa* of the island. Go there to take time for yourself. Get to know the locals. Learn the legends surrounding the area about the rock and the tortoise. Get to be who you are. Heal from your everyday life. Kaupapa (Maori) is a plan, a set of principles and ideas that inform behaviour and customs. Mana whenua (authority in the land) is achieved when a person’s inward kaupapa is aligned with the outward land. When the relationship with the land is lost, people’s inner sense of security and foundation may be lost too. Shhhhh! Don’t tell anyone 😉 It looks beautiful and reminds me a lot of the things my husband said about Wake Island. If you’re looking for a tiny Pacific island that has experienced war, you might check into that one–it’s a thought that struck me while reading your post. I love these posts. I love traveling. I hope you get the chance to visit all these wonderful places you find!! Haha – so do I! They are all ending up on my bucket list! Jeepers, I need to win lotto. So much to do, so little time. I’ll definitely check out Wake Island. Next ArticleHope, survival, and future?